The traditional IT help desk and IT service desk models need to change. Why? Because digital consumers expect so much more of IT service delivery and support. An internal, or outsourced, IT service desk might be good at fixing IT issues and helping to ensure that employees can keep working. But they now need to do so much more on the back of the digital transformation strategies that are improving the customer-engagement capabilities of companies around the world. Digital is changing the rules of customer and service support – and this has only just begun. This article covers each of these in turn. All IT service desks, no matter their size, need to be thinking “digital” now – with a good starting point understanding how employees have become “digital consumers” and how this has changed their expectations of IT support. To do this, your IT organization will need to assess both the status quo and the gap between this and employee expectations. Starting with IT support’s access and communication channels. Ask employees about the channels they use to contact IT support and whether (and how) these differ from what they use at home. Ascertain the channels they would prefer to be using relative to a set of common customer use cases/needs. Then use this information to craft the IT support channels you will offer going forward. Then assess IT service desk responses to support requests. Understand how the people, processes, and the technologies employed interact with customers. Ascertain what works and what doesn't. It’s important to look beyond the mechanics of IT support too. So, start to understand where customers are unhappy with the status quo – this will need to look beyond customer satisfaction questionnaires with the need to garner employee sentiment feedback. This is more about the IT support approach than it is best practice IT service management (ITSM) processes. Plus, it’s more about how your IT service desk engages with customers. Does your IT service desk approach align with business needs and expectations? For instance, is the overall goal to minimize annual IT support costs or to minimize lost time and revenue at a business level? Does your IT service desk, and its people, understand “personas” (the common characteristics and behaviors) of its customers? Do operational responses adapt to reflect these? How does your IT service desk measure success? Is it mostly based on something related to the mechanics of IT support or how the IT service desk has helped/improved customer and business operations? Use the gathered information to understand the disconnects between the IT support status quo and the real wants and needs of the business. This might include being able to change any interaction, and any style of response, based upon customer feedback. There’s no doubt that, in the future, more and more IT support tasks will be automated – with new technologies augmenting human capabilities. But getting the right cases, with the technology employed in the right place, and delivering the right customer experience isn’t always straight forward. Just look to the low levels of self-service success we’ve seen in the ITSM industry (and what we have learned from this). Are virtual agents employed at the right points of the customer journey? Does the customer fell that the virtual agents improve their support experience? With the design of blended automation and “human touch” support systems making a big difference in how they are received and ultimately used. So, when you’re identifying what can be automated, know what should be as well as what should not! Human service desk agents will soon be augmented/assisted by virtual agents – which will make their lives easier (if employed correctly). But they will also be subject to the rising expectations of the employees they serve – and usually related to issues and requests that are too complicated for the technology to assist with. In such scenarios, the human agent will likely not be the first point of contact and thus they need an understanding of the journey the customer has already taken to reach them. They will also need to factor in this journey, and how it has affected the customer, as part of their resolution approach. Thus, service desk agent skillsets will need to adapt from being the primary IT support interface, to being able to work within a digitized IT support capability. Not only with the capabilities required to deal with more complex issues and requests but also to manage in-flight customer journeys where the technology was unable to assist. These and other skills capabilities are covered in an eBook you might find useful – “Skills and Capabilities Required of a 2020 ITSM Professional.” It’s free to download with registration. So, that’s four ways in which digital – on the back of consumer-world digital transformation strategies – is changing the demands on corporate IT support teams. What would you add? Please let me know in the comments. CEO at SysAid Technologies Ltd.
As SysAid Technologies' first employee, Sarah Lahav has remained the vital link between SysAid and its customers since 2003. 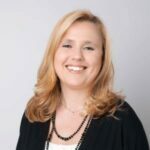 She is the current CEO and former VP of Customer Relations at SysAid, two positions that have given her a hands-on role in evolving SysAid solutions to align with the dynamic needs of service managers. See how ITIL change management works in real life – practical advice, with a pinch of drama. Read more about Garry Protter here.